Divisional Histories: These books are the least useful, as they concern the history of large numbers of battalions and supporting units. In 1914, a division was comprised of four brigades, each with four battalions and a complement of artillery, engineers etc. However, they are very good for adding context. Regimental Histories: Regimental histories for cavalry regiments are often very detailed and produced to a very high standard. Regimental histories for infantry regiments vary in their quality and often only devote a few paragraphs to battalions which did not serve overseas. They are usually divided up by battalion or written chronologically. Officers are often mentioned and accounts of battles can be used to add more detail to a unit’s war diary entries. However, due to the number of battalions a regiment had the amount of detail can vary considerably. Regimental histories for cavalry regiments can be very good and some even carry full casualty lists. Battalion Histories: The most useful by far, as they concern themselves solely with the activities of a single battalion. Though they vary considerably in their content, they will usually contain detailed descriptions of the battalion’s movements, training, officers and experiences (not always related to fighting). A handful of Royal Artillery units also published histories. Most regimental histories are available to buy quite cheaply from Amazon or the Naval and Military Press. Due to their popularity, they can often be ordered at your local library. A few regimental histories are available to download for free as their copyrights have expired. Archive.org is a very good site to you to search for free online books. An excellent book cataloguing regimental histories of the Indian Army is Regiments of the Empire: A Bibliography of their Published Histories by Roger Perkins. Due to their limited print runs, many Indian Army regimental histories can be very difficult to get hold of. If you live in London or nearby, I would recommend viewing them at the British Library which allows photography. Try to view first editions as these often contain maps which were lost in subsequent reprints and clearer photographs. The Naval and Military Press has reprinted a large number of Indian regimental histories, making them available to a wider audience. 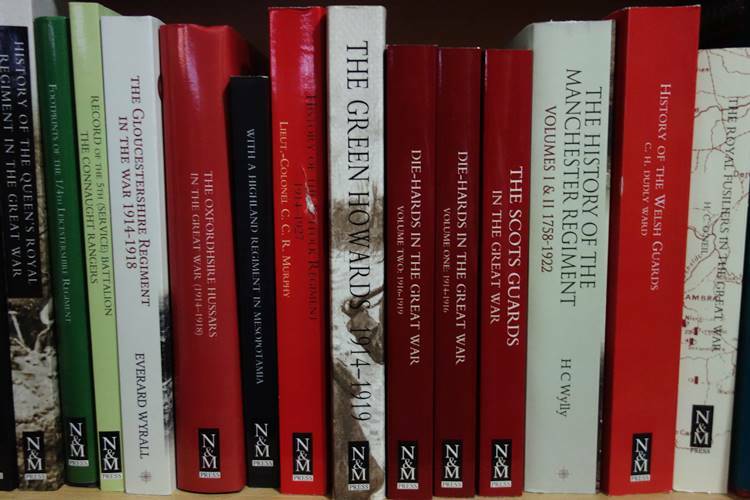 Below are some of the regimental histories in my own collection and all of those shown are recent reprints, with the majority published by the Naval and Military Press (N&M). A great advantage of using a unit’s history (though they can vary considerably in both their style of writing and detail), is they can provide far more information about an event than a unit’s war diary. The war diary was usually written by an adjutant of a unit from notes kept daily and they can be very brief or even fail to mention important events which took place. The men had tea and breakfast and while this was going on a small patrol which had gone out from ‘A’ Company under Phayre came back very full of themselves, having captured a German patrol. They had gone down the road a bit and been fired on from a farmhouse, so they moved up against the place and saw about eight Germans run across the road from the house into the barn. They shot one as he was running… The remaining Germans were summoned to surrender, and as they flatly refused to do so, Phayre set the barn on fire. Eventually they came out, but not until their boots were nearly burnt off their feet; and when asked why they had not surrendered before, they said they had been told that the English always shot their prisoners! 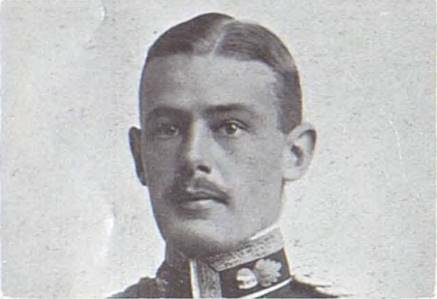 Lieutenant Richard Herbert Phayre was killed in action ten days later aged 24. He is commemorated on the Ypres (Menin Gate) Memorial. This photograph of Lieutenant Phayre was published in The Sphere, 21 November 1914. The Sphere published thousands of photographs of officers during the war and can be searched on FindmyPast. 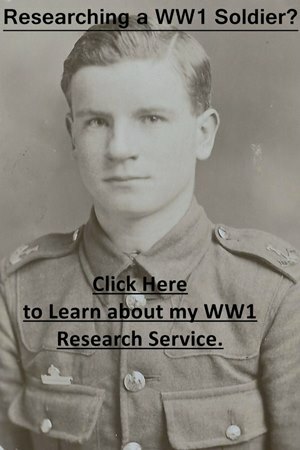 I’ve written an article about using newspaper reports to research soldiers. Below is an example of how regimental histories can be used to add context to a soldier’s service with a unit regarding the conditions they faced. The quote is taken from, Regimental History of the 1st Battalion 8th Punjab Regiment, by Geoghegan and Campbell and describes the conditions faced by the 89th Punjabis in Mesopotamia (Iraq). Since our arrival in Mesopotamia, numerous cases of sickness were reported. These were put down chiefly to the drinking of Tigris water, but the rain-soaked atta [flour] may have had a lot to do with it. No [tar] paulins were available to cover the men’s rations, with the result that they got into an awful state. To complete the discomfiture of the Medical Officer, an epidemic of mumps broke out in the Battalion. But, in spite of this and of all the hardships that were experienced, only twenty-four men had been transferred to the field ambulance since landing in Basra.